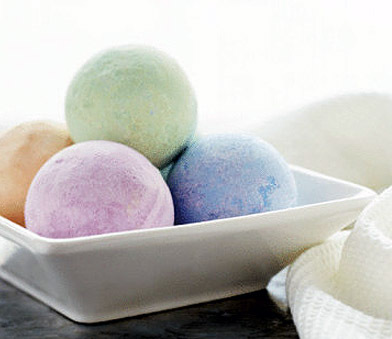 Skinsana's Heaven Scent bath bombs turn your tubby time into a complete spa experience. Our bath bombs contain all natural ingredients that soften your skin and leave it silky smooth. Your favorite fragrances come from essential oil blends that contribute to total body relaxation & well-being. Each Heaven Scent bath bomb is approximately the size of a tennis ball and weighs 4.5 oz/127g. How to use: 1 bath bomb per bath. Remove outer wrapping and plop the bath bomb in a tub of water. Ingredients: sodium bicarbonate, citric acid, Dead Sea salt, coconut oil, crambe seed oil, grape seed oil, sweet almond oil, essential oils, natural mineral micas for color, distilled water & love. Heaven Scent Bath Bombs are a registered trademark of Skinsana Organic Botanical Skincare.